LG Electronics USA Business Solutions’ has expanded its digital signage portfolio with 10-inch to 98-inch displays to fit virtually any commercial installation. Debuting this year is LG’s commercial OLED high-end display collection, including the Dual-View Flat OLED Display and Dual-View Curved Tiling OLED Display. On the 4K side, LG introduced the Ultra Stretch and split-screen models, while announcing “LG PRO,” the company’s new reseller engagement and incentive program. LG introduced a host of new products this year, led by its state-of-the-art commercial OLED line up. The line-up includes the Dual-View Flat and Dual-View Curved Tiling OLED displays, featuring a thin design and a dual-sided picture in HD and UHD quality, respectively. Further exemplifying LG’s leadership in 4K Ultra HD display technology is another brand new product for 2016, the 86-inch Ultra Stretch digital signage display (model 86BH5C). This signage display, which measures just over seven feet long, features immersive 4K UHD resolution for displaying dynamic content, a 58:9 aspect-ratio bar-type display and LG’s Picture-by-Picture technology, which allows the user to divide the long, rectangular signage in up to four seamless screens in landscape or portrait installations. LG’s new 75-inch class Multiple Screen Split-Ultra HD Signage display (75UH5C-B) delivers an immersive 4K viewing experience with four times the resolution of Full HD displays. This 16:9 aspect ratio display solution not only has the capability to upscale 1080P content to take full advantage of the screen’s 8 million-plus pixels, but it also can divide the screen’s content layout in up to four different images on one screen. The built-in LG SuperSign software and webOS for Signage platform provide basic content templates for end users to create and edit content right on the signage display, without the need for an external media player. From a design perspective, the 75UH5C-B’s slim depth and built-in speakers increase space efficiency. On a smaller-sized scale, LG also introduced small signage solutions in 10- and 22-inch class sizes for creative communication usage in supermarkets, convenience stores, meeting rooms, and more, to deliver clear directional and promotional messaging. The 10-inch (9.9 inches diagonal) 10SM3TB-B display allows for simple and efﬁcient power management via PoE (Power-over-Ethernet), which allows the installer to connect the power and network using just one wire and creates an interactive experience for users with a built-in touch screen. The 22-inch 22SM3B display offers LG’s built-in webOS for signage smart platform and Wi-Fi to easily create and manage content, while its high-performance system-on-a-chip (SOC) can execute several tasks at the same time and provide smooth content playback. Building on the success of previous programs and to address significant growth opportunities in the digital signage market, LG launched the robust partner portal LG PRO. 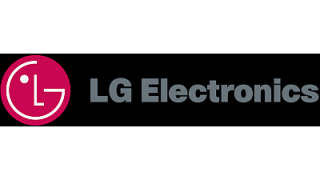 LG PRO is a structured and competitive partner program to provide resellers new benefits such as rebates, point programs, training, marketing development funds and more. LG PRO was previewed for key customers at InfoComm to demonstrate the continued commitment of LG to optimize support of the reseller, better align mutual market approach, and further emphasize LG’s commitment to the channel.